Every year, The Mountaineers hosts an organization-wide Volunteer Appreciation Dinner at the Seattle Program Center! This event is open to all volunteers across the organization. Thank you for your dedication and commitment to supporting our programs! Registration closed on Jan 25 at 5:00 PM. Contact leader to be added or removed from roster. Please join The Mountaineers for an evening to celebrate all of our incredible volunteers! This event is open to volunteers from all branches, as well as their guests. We hope that you can come to connect with friends from across the club, to learn more about your collective accomplishments, and to celebrate our culture of volunteerism. The evening program includes the presentation of each Branch Service Award, as well as The Mountaineers Service Award, The Mountaineers Leader of the Year Award, and the Martinique Grigg Leadership in Youth Education Award. Please RSVP by January 25, 2019 to reserve your seat - space is limited! Dinner is complimentary, and there is no cost to attend. We're excited to announce this year's Keynote Presenters, our very own Ida Vincent and Tammy Martin! This year's theme is all about community, and wouldn't think of two better women to share their story of how our community at The Mountaineers has impacted and shaped their lives. If you look up the word community, the definition will be something along the lines of: “A small or large social unit that has something in common.” This is exactly what Tammy Martin and Ida Vincent discovered when they joined The Mountaineers back in 2011. As luck would have it, they were assigned to the same small instructional group (SIG) in their Basic Alpine Climbing course, and they have remained friends ever since. Both Tammy and Ida have been very active in The Mountaineers community over the past eight years. Last year, this culminated in an all-female expedition to Nepal in an attempt to climb Ama Dablam, a 22,349 ft tall peak in the Khumbu region. They sponsored a local female Sherpa – Phurba – to be part of their team, as they wanted to embrace the local community and help her break in to the male-dominated climbing industry in Nepal. The resulting documentary film premiered at The Mountaineers this past November. 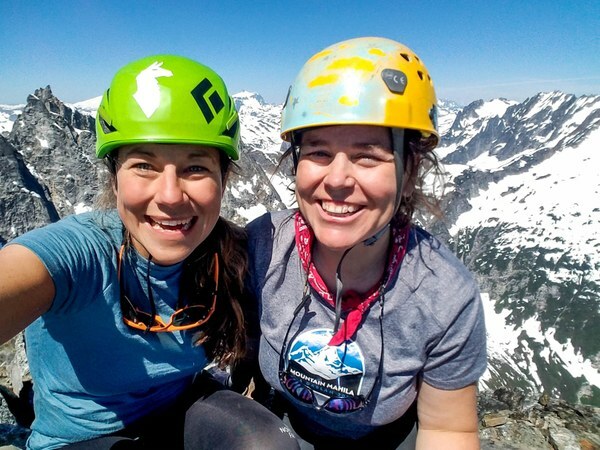 At this year’s Volunteer Appreciation Dinner, Tammy and Ida will speak about the importance of community, including how being a part of The Mountaineers community enabled them to step out of their comfort zones and embark on their two year project - Mountain Mahila.